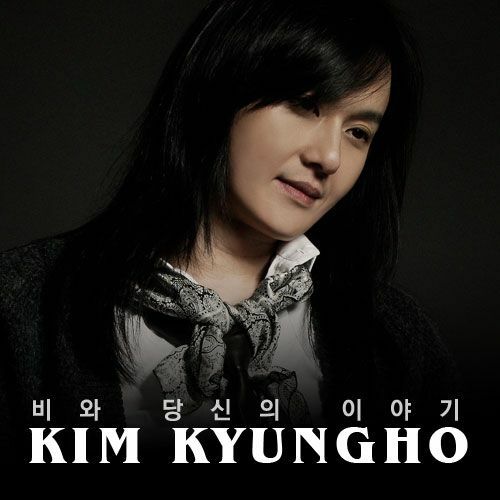 Kim Kyung Ho (born June 7, 1971 in Mokpo, South Korea) is a Korean Rock singer known for his efforts in bringing rock music to South Korea and his 4 octave vocal range. He had a hard time finding a foothold in the Korean music industry, due to an audience preference to pop music and boy bands and so, did much of his practicing in private. His debut album, released in 1995, was entitled "Kim Kyung Ho" and, while not commercially successful, earned him some recognition among Korean rock music fans. His more novel second album, "kim:kyungho 1997" was much better received. He also collaborated to the soundtrack of the 2002 Korean drama series Empress Myeongseong and 2004 (of which he covered Within Temptation song; "Mother Earth"). His most recent album, 9.5th Alive was released on June 25, 2009. He used to suffer from Avascular necrosis but it is said that he underwent a surgery and finally have overcome.